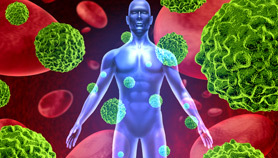 It is a common misconception that community oncologists lack knowledge in immunotherapy. That is not true at all. In fact, they probably administer immunotherapy much more frequently than most academic oncologists. However, their experience with immunotherapy comes a little bit later because academics are usually more involved with clinical trials. As a result, academic providers have been instructed how to manage adverse events of immuno-oncology as part of the trial protocol. For community providers, a lot of it is trial and error, as well as what they learn from colleagues, conferences and websites. The paradigm of cancer is changing, and not just for community oncologists. The community care system has different challenges and structures than the academic system. Not all members of the community multidisciplinary team have the same information and experience. For example, about half of patients with melanoma receiving a combination of ipilimumab, which is a CTLA-4 inhibitor, and the PD-1 inhibitor nivolumab will end up in an ED. Their first contact will be with a triage nurse and the second contact will be an ED physician. Neither of these people will have much experience with immuno-oncology. I am working with the Association of Community Cancer Centers (ACCC) to develop workshops and models by which we can communicate with the multidisciplinary team — including physicians, nurses and other medical care members — at their centers about treatment decision-making for patients on immunotherapy. We often find that doctors are seeing adverse events related to immunotherapy, but they do not know what they are. A patient with lung cancer on immunotherapy who presents with shortness of breath could have a range of conditions, including autoimmune pneumonitis, disease progression, underlying pneumonia, congestive heart failure, etc. Some clinical trials do not enroll patients with significant comorbidities, but those are the patients we treat. We are also realizing that patients with underlying autoimmune diseases are a lot more common than we thought. Some of the diseases that patients have predispose them to cancer. Should those patients receive immunotherapy? Or is their cancer escaping the immune system because the autoimmune disease somehow paradoxically activated the cancer in the first place? We do not know the answers to these questions. The way to approach this is not necessarily data gathering, but pragmatic planning to figure out how to implement the best practices in the community. 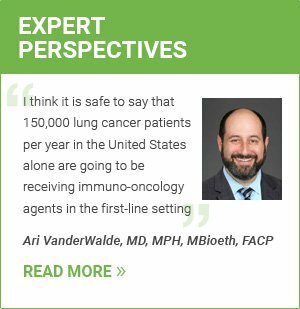 I think it is safe to say that 150,000 lung cancer patients per year in the United States alone are going to be receiving immuno-oncology agents in the first-line setting. Immunotherapy is now the bedrock of cancer care. Chemotherapy is almost adjunctive to immunotherapy in the most common metastatic cancer. When these agents became available, they were quickly adopted into the community at very high rates because it was so exciting, timely and impressive in terms of its efficacy. The data are going to start getting very confusing very quickly. The age of reporting results from novel single-agent immunotherapy is over. Everything we are going to be seeing is combination therapy — either combination immuno-oncology agents or combined modality therapies such as chemotherapy plus immunotherapy or targeted therapy plus immunotherapy. We may even see completely different types of combinations such as radiation plus immunotherapy. They are all going to be tested and results will be coming out at exactly the same time for multiple different diseases with the same lines of therapy. Digesting that is going to be difficult, especially in the community and for those of us who subspecialize. The field of immuno-oncology is moving fast. Therefore, it will be very important for physicians to have decision trees and algorithmic pathways that are updated in real time. Disclosures: VanderWalde reports being a consultant for Bristol-Myers Squibb and receives research funding from Amgen.